Well, I call myself this because I was dressed all in black today. 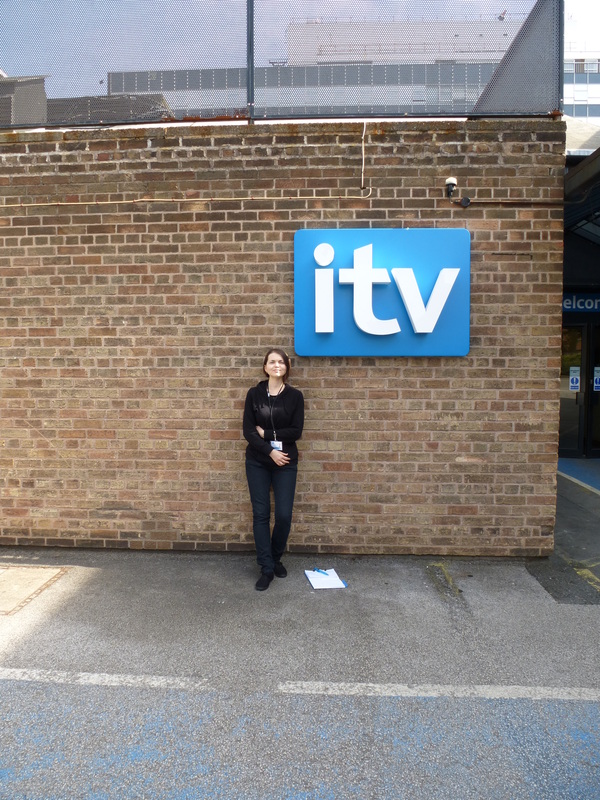 The reason for this was I spent the day at ITV Studios. It was a case of getting up at the crack of dawn to get to Manchester as CrossCountry Trains where I live are rubbish (change will never come). And of course of all the days I need to be somewhere on time, there has to be a trespasser on the train tracks. At times I think the UK should adopt the attitude of the USA; Trespassers will be shot. 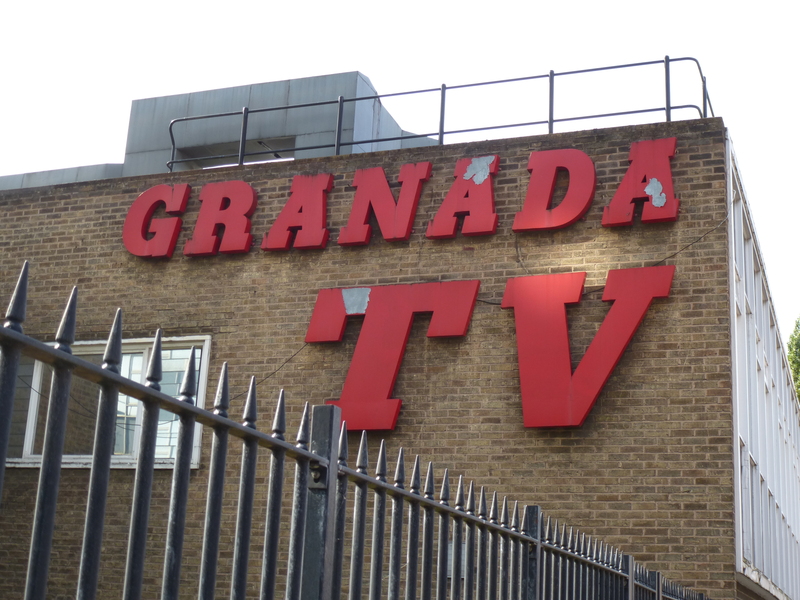 Beside this I made it, and I couldn’t have gotten lost as the building I was heading to had Granada TV in big red letters outside, that I called reception to make sure I was heading to the right building, as ITV are moving to MediaCIty. After signing in I met Lesley, a production runner who is with 3SixtyMedia, and from there I was taken to the production office to meet the rest of the team. 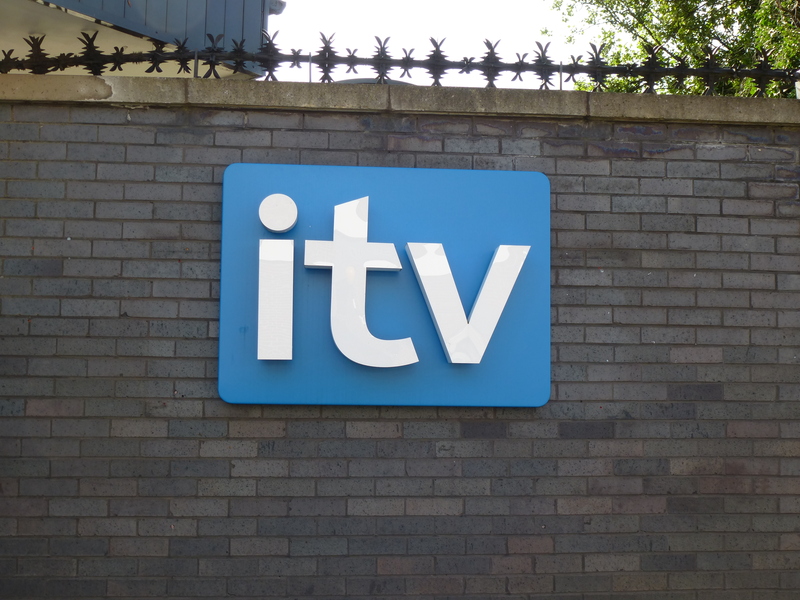 I also got to meet the person I have been corresponding with over the past couple of weeks to arrange to come to ITV. Lesley then gave me a tour of the site, once I introduced to more people and shown the different departments, and I will admit the site is enormous that I did lose my bearings a few times, though luckily Lesley kept pointing me in the right direction. One area I was shown was where they film Corrie, and I was treated a visit to the ‘Rovers Return’, no pints I was working. Along with making notes, tidying the galleries, helping source supplies it was a great and busy day. One thing I didn’t think would happen was seeing a few famous faces; William Roache, Mikey North and Ben Price. I just couldn’t get over how fast the day had gone and soon it was time to go, so it was a case of heading to Manchester Piccadilly and it took a heck of a journey to get back to the Midlands. So more opportunities to talk about really soon, I hope.